Thrive International returns to Trinidad with a series of events at Chancellor Hotel St Anns from Friday 8th - 15th June. The international platform who last year opened doors for local artist Kalpee with a SONY Music deal has plans to network with creatives and stakeholders to develop an ecosystem that can allow others to achieve international opportunities. Starting this Friday 8th Thrive International will host a more relaxed event from their signature ThriveINTNT which was held last year at the same venue but titled "ThriveINLIME", this event will be an after-work networking event targeting the creative industries such as fashion, art, film, music, dance etc. The event will feature live entertainment from up and coming local artistes, drink specials and a relaxed atmosphere by the Chancellor Hotel's poolside. On Monday 11th to Thursday 14th of June, Thrive will host a creative forum allowing people to share their views on the industry with the goal to find and create solutions that would elevate it. The closing event would be held on the 15th of June and would be another #ThriveINLIME. 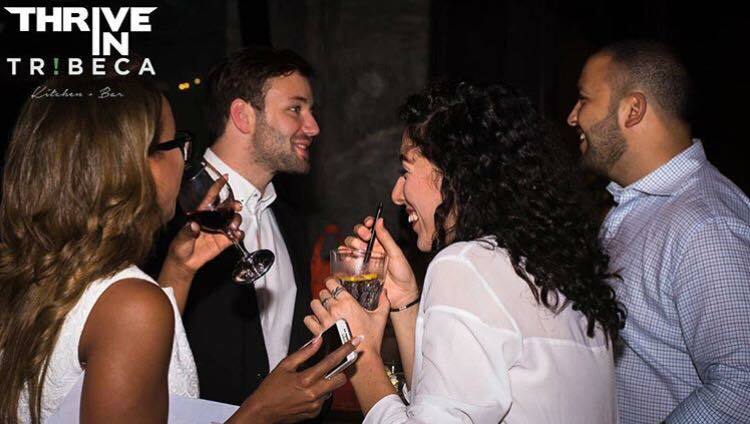 Founder Ethan Auguste who is based now in Geneva, Switzerland after moving from Dubai where he founded Thrive International 5 years ago is here in Trinidad to host these events and meet with potential partners, talent and to hear first hand what Thrive International can help with. " Trinidad is overflowing with talented persons, the World is watching and now is the time to take the driver's seat. With a tour being planned for Kalpee we hope to include various talents and showcase T&T to the World." Ethan stated. For more information on Thrive International or its events visit www.thriveintnt.com or social media @KeepThriveIN.